Diamondgate: How Quickly Can They Change The Law In Belgium? OSI offered ample evidence that the law voted on 14 April 2011 in the Belgian Parliament amending the Code of Criminal procedure by allowing prosecuted individuals and companies to enter into transactions with the Public Prosecutor to terminate the public prosecution of offences – the so-called “extended criminal transaction” – was in fact drafted and promoted by the diamond lobby in Anvers, with ample support from Belgian politicians (see here: http://www.opensourceinvestigations.com/ and here: http://www.opensourceinvestigations.com/ for more details). However, one question remains unanswered: why the rush? What shocked many Belgians was not only the amendment in itself, but also the way it was fast forwarded into law. The move was so swift that the general public was caught by surprise. Given the surprise, it’s no wonder that conspiracy theories began to circulate. One such theory, highly promoted by the Belgian media, states that the culprit was Patokh Chodiev, an Uzbek oligarch with Belgian citizenship. No matter how hard some tried to conceal the real culprits, OSI managed to see through the smokescreens and to reveal the true facts. OSI can now show how the haste manifested by the Belgian MPs when they voted for the extended criminal transaction in April 2011 was prompted by the diamond lobby in Anvers, whose interests were threatened by the huge scandal that was eventually known as Swissgate. In December 2008, an employee of the British bank HSBC’s Swiss branch, Herve Falciani, was arrested by the Swiss authorities. Falciani stole data on 30,000 HSBC accounts, covering the period 2005-2007, and intended to sell this data to the highest bidder. The accounts belonged to people and companies who used them to avoid paying taxes in their home countries. Falciani managed to flee to France, where he was arrested by the French authorities, who in January 2009 began to investigate the data. On 7 July 2010, the Belgian fiscal authority – Inspection spéciale des impôts (ISI) – received from the French authorities all the data regarding the Belgian owners of HSBC accounts. There were 3,002 secret accounts owned by Belgian individuals and companies, and 916 of them were held by diamond dealers in Anvers. On 9 September 2010, the public prosecutor in Anvers, Peter Van Calster, received form ISI the data regarding the diamond dealers in Anvers who had bank accounts at HSBC Switzerland. Although the information was not made public, 8 days later, on 17 September 2010, Van Claster and the general attorney of Anvers, Yves Liegeois, met with Axel Haelterman and Raf Verstraeten, both law professors and lawyers working with the Antwerp World Diamond Centre (AWDC), an umbrella foundation representing the interests of the diamond traders in Belgium. Axel Haelterman and Raf Verstraeten were the people who in 2009 drafted what would later become the amendment on the extension of criminal transaction. Since Liegeois knew Haelterman and Verstraeten well (it was in his office that the two lawyers from AWDC presented the draft proposal to extend the scope of criminal transactions in 2009), it is no surprise that he, along with the two lawyers, favored a negotiated solution in the case of the secret HSBC bank accounts. Van Calster, on the other hand, asked for full cooperation and complete transparency from the representatives of the diamond dealers, which they refused. The HSBC scandal posed a direct and immediate threat to many influential diamond dealers in Anvers, who suddenly faced the prospect of going to jail if countermeasures were not taken quickly. On 2 December 2010, a number of Belgian MPs founded “The Diamond Club” (“Diamantclub” in Dutch), an informal and secretive group aimed to offer parliamentarian support to the diamond traders in Anvers. The president of the Club was Jan Jambon, and the vice-presidents were Willem-Frederik Schiltz and Servais Verherstraeten. All the Flemish MPs were invited to join the club. “We want to unite in the “Diamantclub” all the politicians who defend the values and the interests of the diamond trade,” the invitation said. 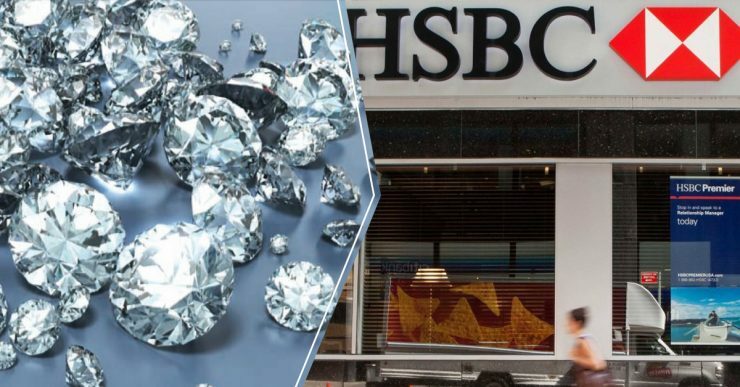 The diamond traders in Anvers with secret bank accounts at HSBC began to feel even more pressure when in late January, early February 2011 they began to receive notifications from the Belgian fiscal authorities. They were notified that they were suspects, and therefore under investigation, for possible fiscal frauds (see here, page 12: https://www.dekamer.be/). We know the rest. The project of law concerning various provisions entered the Belgian Parliament on 24 February 2011. On 3 March 2011, a series of amendments were proposed. Among them was the amendment 18, extending the scope of the criminal transaction. The amendment was introduced by Servais Verherstraeten, the vice-president of the Diamond Club. To sum it up, it was the sudden and direct threat coming from the Belgian fiscal authorities and the Public prosecutors in Anvers in connection with the HSBC tax evasion scandal that prompted the diamond lobby to regroup and to act hastily. These are proven and public facts that explain in great detail why the extended transaction was introduced so quickly in March 2011 and voted one month later. However, you won’t see these facts discussed by the very parliamentary commission who was formed precisely to discuss them.